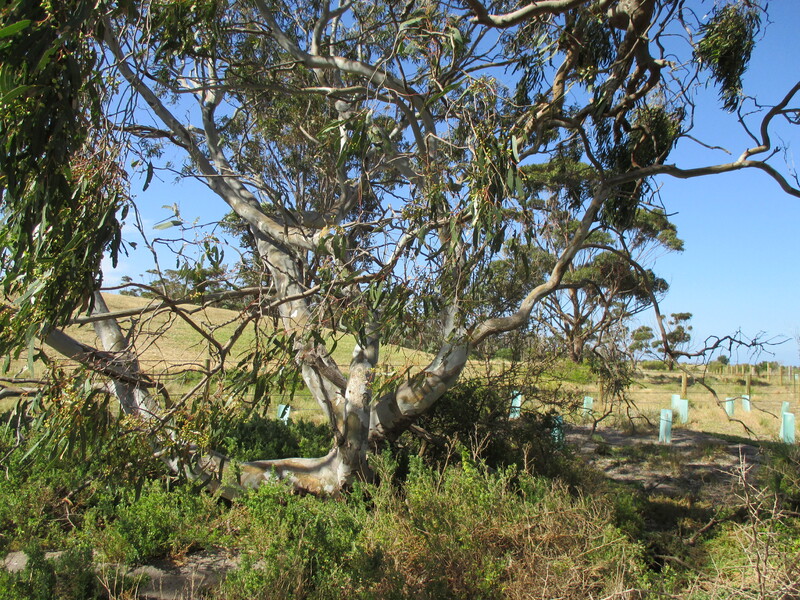 Remnant salt-tolerant river red gum, near ‘the thousand steps’ lookout, Altona, November 2014. 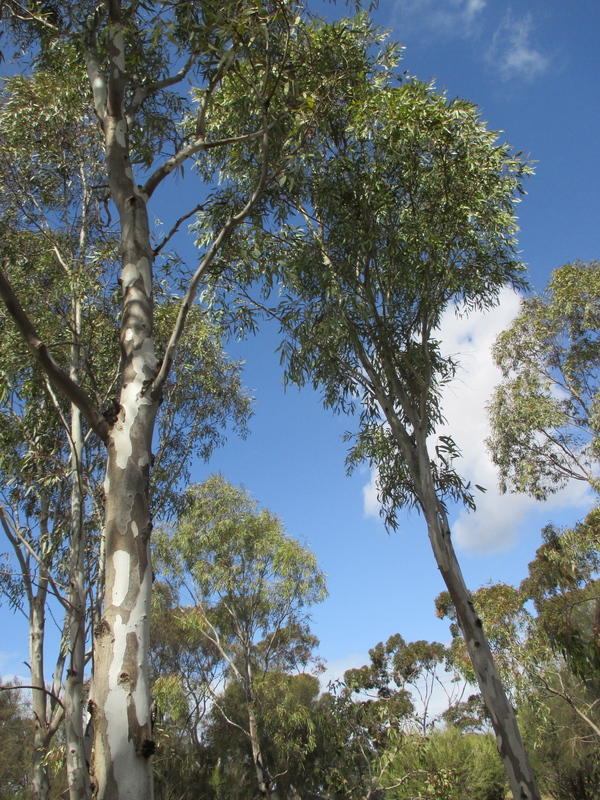 In a few weeks, students from Altona Primary School will plant 100 swamp she-oak, shoestring acacia and salt-tolerant, local provenance river red gums at a sewage treatment plant on Queens Drive, Altona. Their work represents the first steps in what I hope is a meticulous, long-term plan to restore and conserve Australia’s greatest work of (non-Aboriginal) land art: Agnes Denes’ ‘A Forest for Australia’. Agnes Denes, 83, is an awe-inspiring artist. She was born in Budapest, Hungary in 1931. She survived the war. She made her home in New York. In the late 1960s she was one of the few women making land art in a scene dominated by men like Robert Smithson (Spiral Jetty) and Michael Heizer (Double Negative). Her most famous work was Wheatfield: A Confrontation (1982) in which she planted 0.8 hectares of wheat on a former rubbish dump a block back from Wall Street. I like the photo of the field of golden wheat with tiny Statue of Liberty in the background. So influential has this work been that Denes was asked to reprise it this year for the Milan Expo 2015. Meantime, Denes was also working on the Living Pyramid, a major new work at Socrates Sculpture Park in Long Island City, Queens, New York. If you’re in New York, why not visit? It’s on display until the end of this month. Or you can read the fantastic Q and A with Denes about the project in Interview magazine. New York, Milan, Altona! We are so lucky to have a work by this major international earth artist here in the western suburbs of Melbourne but until I began to research the forest and write about it last year, it was all but forgotten. A friend mentioned the work to me. She had read about it on some defunct blog. I rode my bike down for a look and felt pretty curious about the trees I could see behind the chain mesh fence. Was the artist still alive? The internet told me she was. I wrote to Agnes Denes’ dealer in New York, Leslie Tonkonow. A few days later I had an email from Agnes herself, the first of many. I sketched the history I unearthed in a feature story for The Age, ‘If a tree falls in the forest…’ That’s me in the photo, breaking all the rules by being on treatment plant land without a hi-viz vest on. Denes made the forest in 1998 as part of The Bridge Construction in Process VI, an International Artists’ Museum project run from the Footscray Community Art Centre. With the help of volunteers she planted five intersecting spirals of 6000 native seedlings on barren 400-metre by 80-metre strip of land in front of the sewage treatment ponds. She planted her trees in a stepped pyramid foundation. Squat paperbarks went on the outer. The middle ring was elegant dropping she-oaks and the central spirals were made from red gums. The dream was to create five mountains made from trees. The summit of each mountain would be the canopy of the most luscious, mottle-fleshed gums. What actually exists, 17 years later, is a ghost forest, five phantom mountains sketched in the air in front of two gigantic stainless steel tanks filled with sewage from all the houses around Altona, including mine, including the primary school’s, including the council’s. Some trees have survived – the paper barks on the edge of the five rings are looking good – but thousands have died. The two eastern-most plantings are more like donuts than spirals now. Remnant Agnes Denes red gum, Altona Treatment Plant, Queens Drive. When I started asking questions about the forest, I felt angry with City West Water. Why had they neglected this treasure? The trees were planted at the start of the drought. They had not been watered. It was outrageous that this had occurred on public land occupied by a state-owned company that has “water” in its title! But the story that emerged during my research was more complex. Agnes Denes mentioned the “friends of Agnes Denes”, a group of people who had continued to care for the site. I was not able to find them. It turned out that in 2007 City West Water had commissioned an environmental assessment of the artwork. 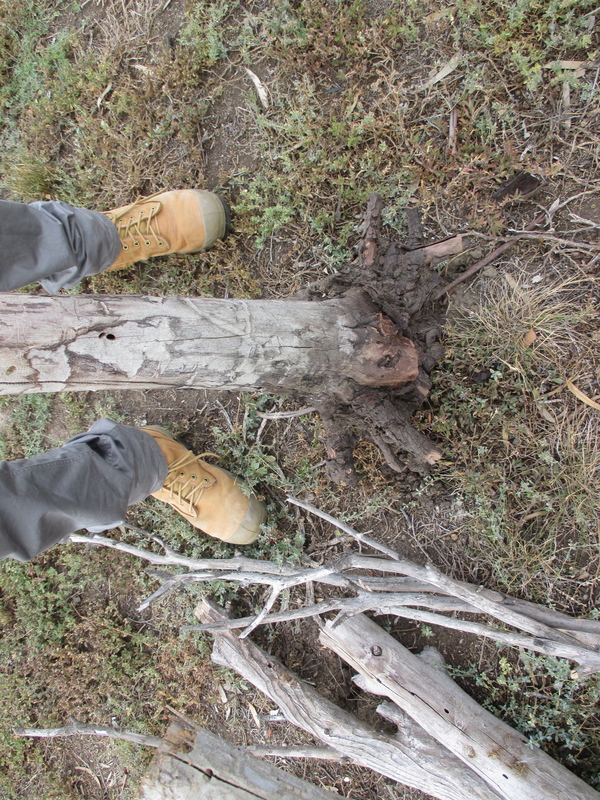 Arborists had examined the trees to find out why so many were failing to thrive. New seedlings were planted but they carked it too. Someone had laid a gravel path through the most intact spiral. As my article was going to press, the company issued a statement that it would set up a maintenance program for the surviving trees and explore some repair and replanting of the dead ones. Agnes was happy about this. Now things are underway. The “revegatation” contract has been awarded to Indig-we-do, a bushland restoration business. Of course, this is an art restoration project as well as a bush one. The forest has been mulched. In spring, irrigation drippers will be routed directly to reach tree. Next year, more trees will go in. I will be so proud to help the school children plant the seedlings. Two of my daughters will be in the group of gardeners/art assistants. They have listened to hours of conversation about the site in our house. Their dad – my partner – is a gardener who is an expert in bush revegatation and regeneration. He would never have planted so many trees so close together on such a terrible site! Who would think of making a “mathematical forest” – Agnes’ term – from Australian trees? Ours are not symmetrical or predictable like the ones in Europe. Gums can be mad, scraggly, wonky. Their article suggests that any improvement or restoration of the forest could risk diminishing its power; a ruin is a kind of accusation after all. Artist George Egerton-Warburton also honoured the beauty of the dead Agnes Denes trees in his installation for ACCA’s recent NEW15 show. After my article was published in The Age in November 2014 Agnes Denes forwarded on an email she had received from George, an Australian artist based in Los Angeles. She asked me to respond to some of George’s questions. I begrudgingly did so. How much of my time could this forest take? But art does not exist in the time world or the money world. It works in some other way. I hit it off with George and really enjoyed getting to know him and his work (writing, films, sculptures and more). I ended up going the treatment plant with George and curator Matt Hinkley. It was wonderful to watch these two artists working with engineer Jeram Mallis on what might be possible for the ACCA show. In the end, it was quite a lot. 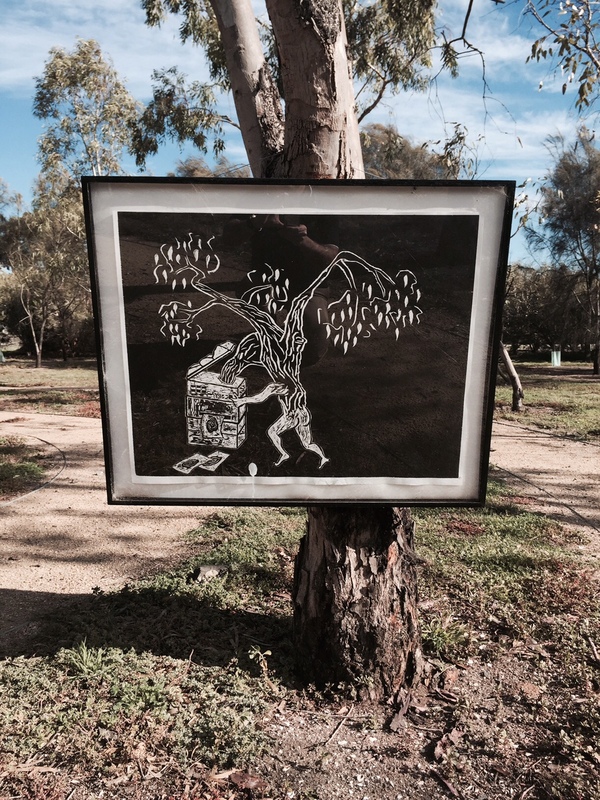 George hung four woodblock prints on Agnes Denes red gums at the site and he installed one of the dead trees – a she oak I think – in the gallery. 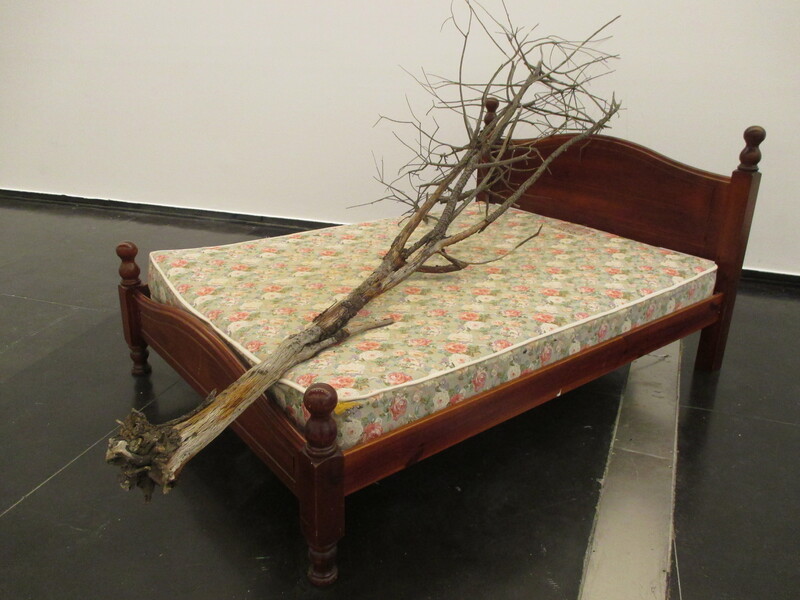 He lay it on a bed he had bought from the Gumtree website. Good gag. The forest just keeps on growing. I have become a dendromaniac. This entry was posted in Uncategorized and tagged A forest for Australia, ACCA, Agnes Denes, Altona Primary School, Altona Treatment Plant, City of Hobsons Bay, City West Water, Footscray Community Arts Centre, George Egerton-Warburton, Jock Gilbert, land art, Landscape magazine, Leslie Tonkonow Artworks + Projects, Matt Hinkley, Milan Expo 2015, red gums, Sarah Hicks, sewage treatment, Socrates Park New York, The Age. Bookmark the permalink.